In this December 2011 file photo, an Afghan policeman keeps watch as women wait in line to receive winter supplies at a centre for needy refugees on the outskirts of Kabul. OTTAWA – Canada is sounding the alarm about a proposed law in Afghanistan, amid signs the clock is already being turned back on hard-fought rights for Afghan women and girls. The law, which has been passed by the Afghan parliament and is now awaiting President Hamid Karzai’s signature, would prohibit authorities from questioning the relatives of a criminal suspect. This would effectively silence victims and undermine investigations into cases of sexual and domestic violence in a country rife with “honour killings” and forced marriages. Canada was the first country to speak out this week, with Minister of State for Foreign Affairs Lynne Yelich voicing the government’s strong opposition to the law following a trip to Afghanistan. The Conservative government has also instructed Canadian diplomats in Kabul to enlist counterparts from other countries to stop the legislation from being adopted. Human Rights Watch researcher Heather Barr, whose organization uncovered the proposed law, praised Canada’s leadership in trying to raise concerns and rally opposition. “It sends a clear message not just to the Afghan government, but to other donors as well, that this is an important issue and it’s something other people should speak out about,” she said. On Friday, British Foreign Secretary William Hague tweeted his concern and said his country’s ambassador was “urgently” raising the matter with Afghan authorities. 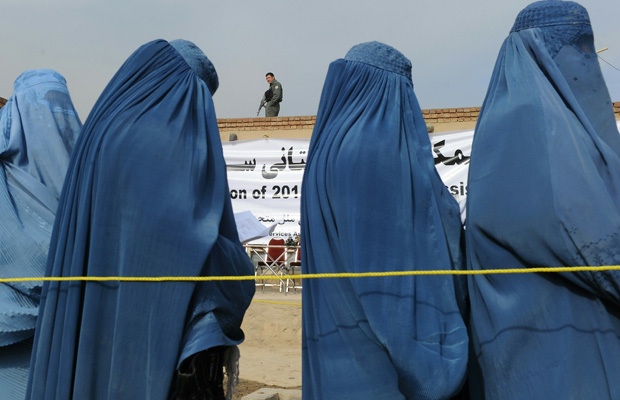 Yet human rights groups say international silence has become the norm as women’s rights in Afghanistan have been rolled back over the past year, a concern privately echoed by Canadian officials. The setbacks include a 20-per-cent reduction in the number of seats reserved for women in provincial councils, and attacks by Afghan parliamentarians on the country’s landmark Law on Elimination of Violence Against Women. There was even a short-lived attempt in November to re-introduce the practice of stoning adulterers to death, and there has been a marked increase in the number of assaults and murders of female MPs and activists. The fact that all of this is happening while Western troops and diplomats are still in Afghanistan makes prospects for the future all the more bleak. The international community has repeatedly professed its support for women’s rights, but Barr said other countries are not speaking out as the focus is now on getting out of Afghanistan. Some Western nations have also indicated reluctance to raising the issue when the Afghan government and Taliban are negotiating a possible peace. The promotion of women’s and children’s rights was touted as a key objective during Canada’s 12-year involvement in Afghanistan, which cost about $10 billion and more than 160 lives. But Canada is also in a unique position to criticize the Afghan government from its allies as the last of its troops will be gone from the country next month, while many of them will still be there for months if not years. Canada will provide $330 million over three years starting in 2015 to support Afghanistan’s security forces, but is expected to have a minimal diplomatic and development presence on the ground. Despite this, Barr was hopeful the decision to speak out against the proposed law represented a new chapter in Canada’s involvement in Afghanistan. Ottawa Police Detective Peter Van Der Zander and Marguerite Isobel Lewis of the Children's Aid Society who both fabricate evidence and obstruct justice to place children with child abusers.